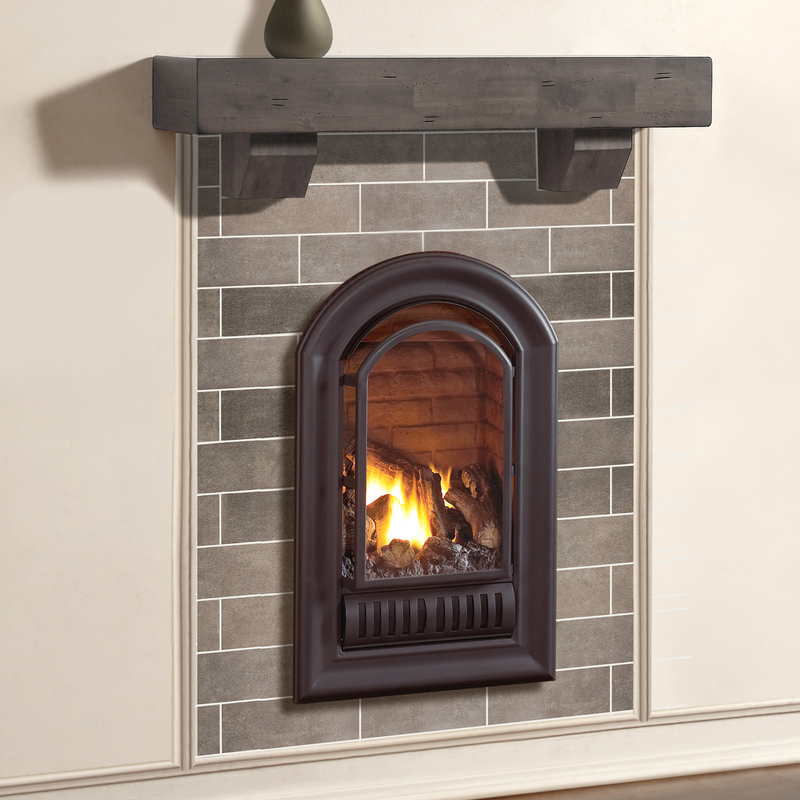 This HearthSense zero clearance vent free arched fireplace insert features a beautiful ceramic brick liner with realistic concrete logs. These dancing yellow flames give you 20,000 maximum BTU of heat, heating up to 1,000 square feet of space using liquid propane! The stylish arch design is perfect to fit into any home decor, and can be customized by either pairing it with a mantel for a traditional look or receding it into a wall for a minimal and modern feel. Add this insert into your living room, kitchen, or dining room to elevate the look of your home.